Literary Wives Reminder: The Next Book – The Bookshelf of Emily J.
I’ve been forgetful. Whenever I post about the Literary Wives Series, I forget to inform my readers of the next book on the list. So here is the next book. 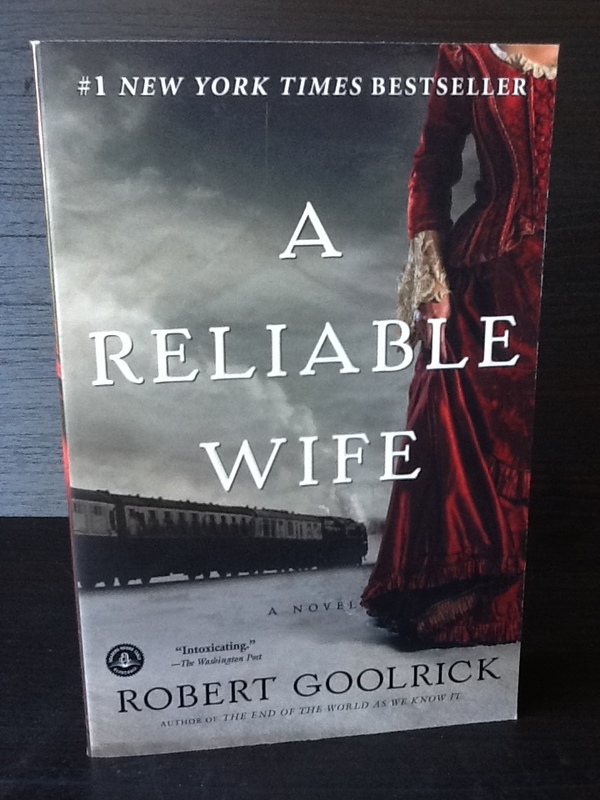 We (Ariel, Angela, Audra, and I) will be posting our reactions to Robert Goolrick’s A Reliable Wife on July 1. We would love to have you read along, post along, and join in the conversation. If you’d like to know more about the series (such as past books/posts, the questions we are trying to answer, or the participating bloggers), please visit my Literary Wives Series tab at the top of my blog, or click here. I just joined up and just borrowed the book from Amazon Prime. Gonna start reading today. Cause I am probably not a zippy with a book as some of you. LOL I am finally in a book club. Have a great Monday. I hadn’t heard of A Reliable Wife before I read this post but the cover intrigued me. It looks like historical fiction and that is something which I often enjoy. I’m currently halfway through a fabulous novel, Calling Me Home by Julie Kibler, which is set alternately between 1930s Kentucky and the present day. Although I read plenty of books which are set in the present day, I enjoy the way my imagination gets fired up by reading about people living in different periods of history. Calling Me Home sounds fascinating! I may look into it. My January ancestors lived in Kentucky way back when and even had a street named after them. It’s about a white girl from a wealthy family who falls in love with a black man. The book covers issues of race, societal taboo and controversy. It’s very well-written IMO. Thank you. I’m grateful for your kind words and the gesture. It feels good to be appreciated! I just put Reliable Wife on hold at the library. I “might” not have it done by July1, but it will be close! You might get it done. It took me a day (on an airplane).